Matt began his real estate career in 1995. Originally from Windsor, VT, Matt has been a resident of the Greater Burlington Area since 1994. 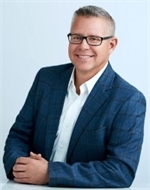 Matt joined the team of top producing agents at RE/MAX North Professionals, the number one RE/MAX office in the state of Vermont, in 2001. Throughout his years in real estate, Matt has been committed to increasing his expertise through continuing education, including attendance at Howard Brinton Star Power Seminars: an intense and high impact annual seminar attended by approximately 1,800 elite top producers in real estate in the United States and Canada. This has made him both an informed consultant and an innovative marketer. Director and Secretary on the Northwest Vermont Board of REALTORS® from 2002-2005. State Director for the Vermont Association of REALTORS® Board of Directors from 2006-2009. Matt's professional focus is the marketing and selling of property in the Greater Burlington Area. The properties he has represented vary from new construction projects, investment properties, to single-family homes and condominiums. He also draws from his personal experience as a homeowner and real estate investor. One recent accomplishment was the complete renovation of a 1960 Cape Cod duplex in the New North End of Burlington. James is a seventh generation Vermonter with extensive knowledge and understanding of local markets! James has successfully opened, owned and managed several businesses in Vermont over the last 20 years. His vast experience in sales, marketing and outstanding customer service ensures our clients have the best of care. With an eye for detail, past experience with home renovation, new construction and interior design he is great resource for a variety of questions you have when purchasing or selling a home. James also manages the Matt Hurlburt Group's extensive marketing program. James works with the team and shares our group's commitment to provide personalized professional service tailored to our client needs and unparalleled service in our real estate market. James currently owns Pampered Pet Grooming in Burlington, VT.